September 14th in Premium Themes, Theme Lists, WordPress Themes by Wordpress Jedi . 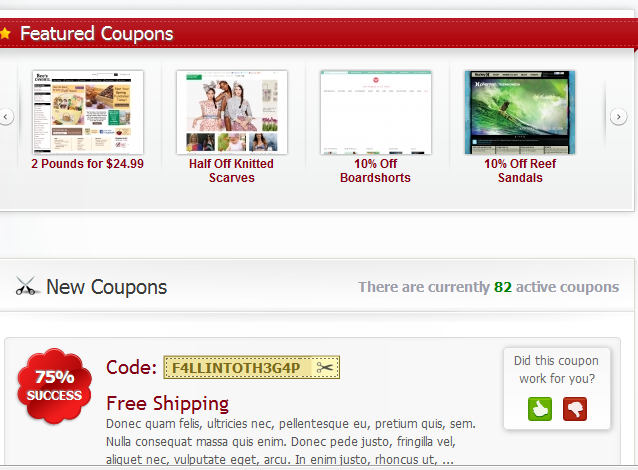 Clipper: a super fast and attractive WordPress theme for coupon websites. 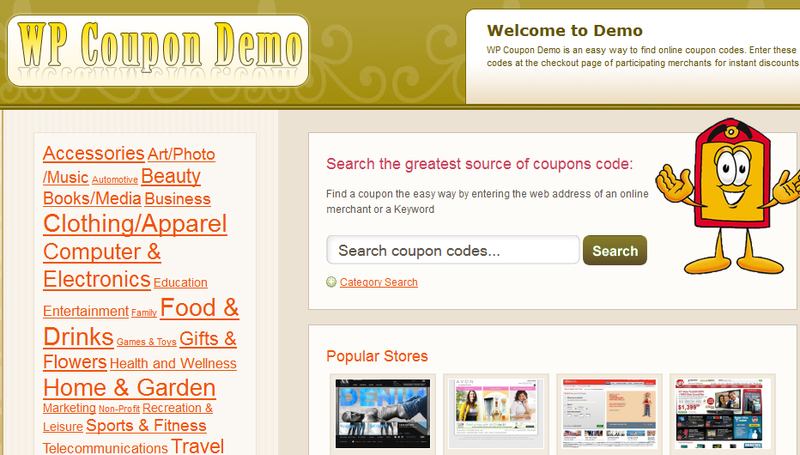 It has 5 color schemes and makes managing your coupons easy. Its user feedback feature and statistical system are very helpful. Coupon Theme: a responsive WordPress coupon theme for affiliate marketers, small businesses, and sites with special offers. It lets you import existing coupons, manage limited time deals, and create stores. It is newsletter friendly too. Your visitors can add their own coupons. CouponPress: has one of the most powerful back-ends around. CouponPress allows you to add coupons, auto-expire them, and cloak your affiliate links. It offers over 20 designs. WP Coupon: this product offers you something different than the others listed here. 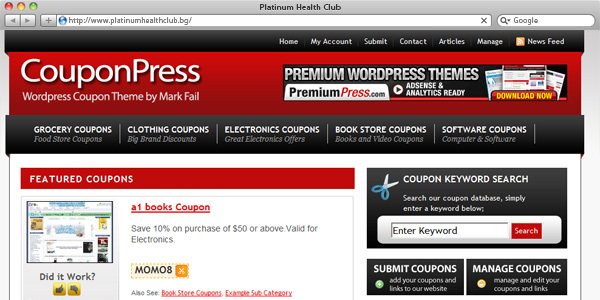 It is based on WP Coupon framework and compatible with For Me To Coupon. It is customizable and ad-friendly. 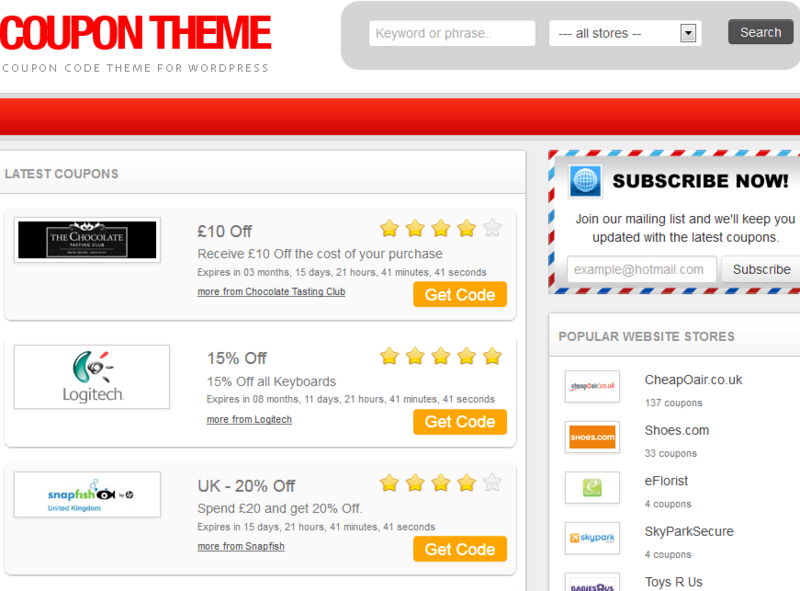 If you must have a coupon site up and running fast, the above premium coupon themes are worth checking out. You may have to install a few plugins to build that perfect daily deal site.